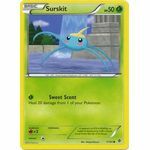 [G] Sweet Scent: Heal 20 damage from 1 of your Pokemon. 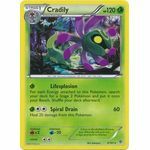 Ability: Tool Reversal: As often as you like during your turn (before your attack), you may put a Pokemon Tool card attached to 1 of your Pokemon into your hand. [C][C][C] Bug Bite: 60 damage. 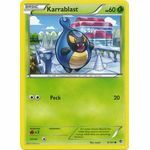 If this card is attached to Genesect-EX, that Pokemon may use this card’s attack instead of its own. You can’t have more than 1 ACE SPEC card in your deck. 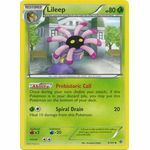 [G] Lifesplosion: For each Energy attached to this Pokemon, search your deck for a Stage 2 Pokemon, and put it onto your Bench. Shuffle your deck afterward. [G][C][C] Spiral Drain: 60 damage. 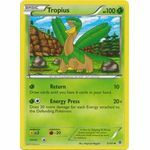 Heal 20 damage from this Pokemon. [G] Return: 10 damage. Draw cards until you have 6 cards in your hand. [G][C] Energy Press: 20+ damage. 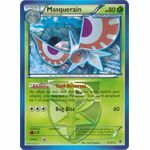 Does 20 more damage for each Energy attached to the Defending Pokemon.